wedotanks® ™ has helped to define the market for precast potable water tanks. 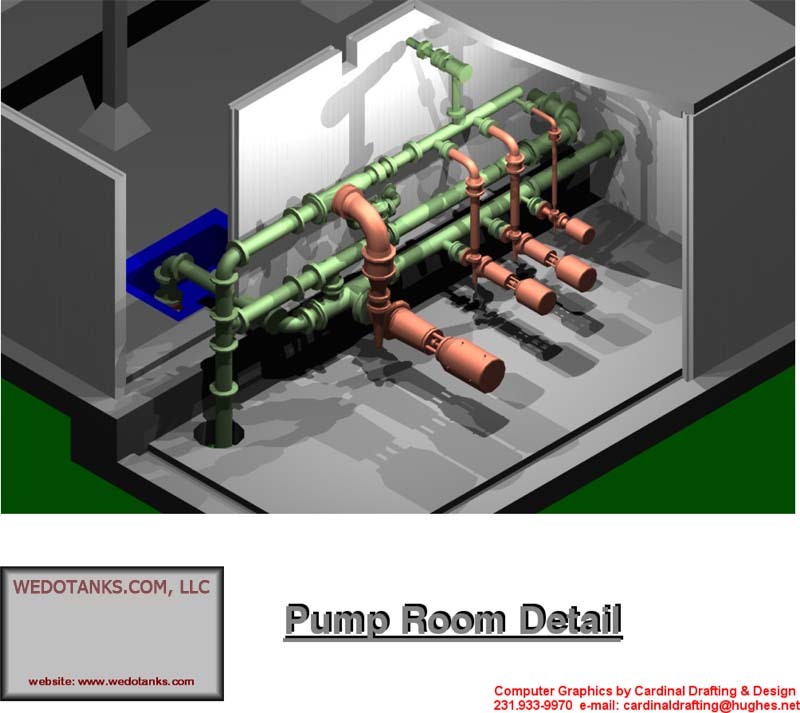 wedotanks.com® designs underground potable water tanks for municipal well and drinking water applications. wedotanks®. designs potable water tanks for municipal drinking water systems. Custom potable water tanks fabricated from precast concrete are also popular with Government, State, County, City, and private facilities. Over 30 years of experience have gone into our potable water tank designs, and it shows in the quality of the product and in our roster of clients. Every new wastewater treatment plant, industrial wastewater system, or agricultural waste facility represents another potential customer for www.wedotanks.com® precast concrete potable water tanks. www.wedotanks.com™ potable water tanks are trusted by wastewater systems engineers and operators who depend on the strength and durability of their tanks and components on an every day round-the-clock basis. With www.wedotanks.com®, you have an experienced WWTP engineering company that can custom design potable water tanks or other applications according to size and flow specifications that will perfectly match your potable water needs. www.wedotanks® – and we do them right the first time. wedotanks® offers engineering services for construction of water treatment, wastewater treatment and purification plants and other private and municipal infrastructure facilities. We are licensed to practice engineering in twelve states with applications pending in three additional states. We offer professional liability insurance for all our projects. www.wedotanks®‘s precast potable water tanks are known for their dependability and long life. Potable water tank design includes strategically-placed seams which are filled with an industry-approved sealant provided by a member of the Chevron Family of Companies. 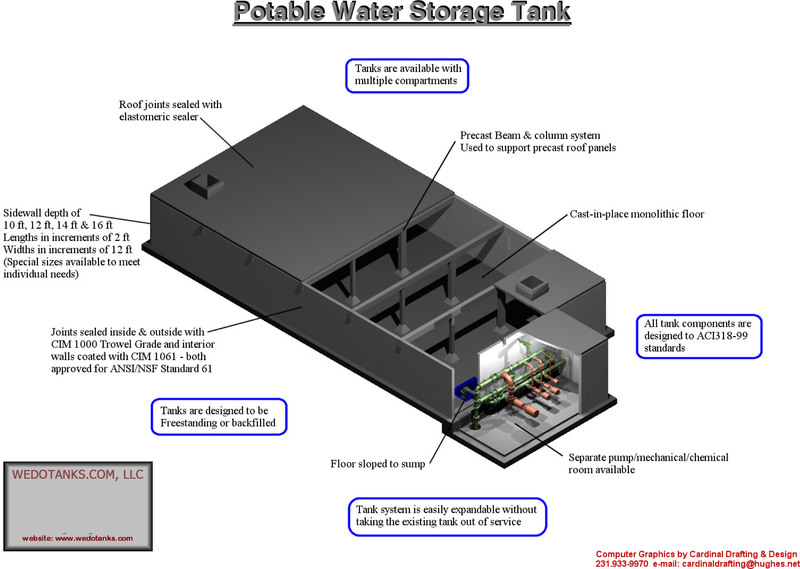 This sealant and the precast concrete potable water tank itself is 100% environmentally friendly and environmental regulatory agencies have deemed it entirely appropriate to use www/wedotanks.com®’s tanks for potable (drinking) water storage. www.wedotanks® helps their clients get the right potable water tank storage system by offering one of the broadest arrays of custom specifications in the industry. We understand that whether you need a small potable water tank for agricultural applications or as part of a municipal wastewater treatment system, or whether you require potable water tanks upwards from 300,000 gallons, you want professional, experienced help, and the highest quality product you can get. Please take the time to view the rest of our site, and then contact us. Let www.wedotanks.com® help you get your WWTP project – including potable water tanks – up and running smoothly.